Instantly append gender codes and scores to your marketing database records and customer lists. 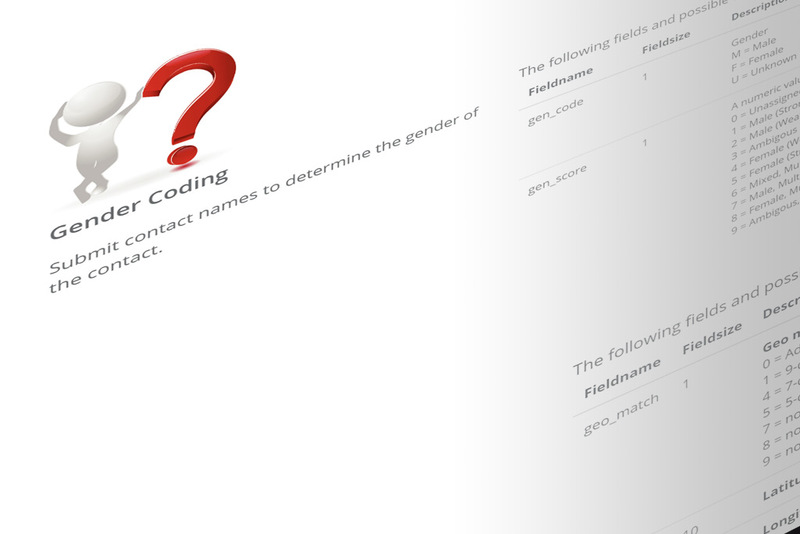 Personalize your marketing efforts, and maximize gender specific campaigns, by adding male, female, or ambiguous gender codes to your database contacts. Speed-to-market and information accuracy are critical to your marketing campaign’s success. The UpdateYourList.com DIY Portal allows you to instantly append gender codes and scores to your customer and prospect files in real-time.